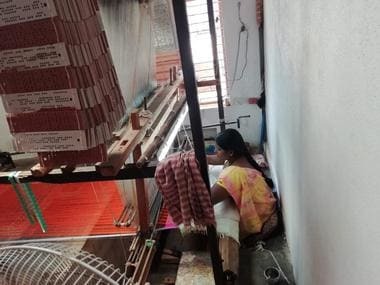 Workers and owners of handlooms in Dharmavaram say that many schemes meant for them have either been stopped or not implemented. Dharmavaram: The saree may never fall out of fashion, but the popularity of certain types of sarees is definitely on the wane. The elaborate, handwoven sarees of Dharmavaram — once the pivot of any important occasion — are no longer as sought after as they used to be. The artists engaged in the trade were traditionally from weaver communities like Togata, Devanga, Padmashali, Kurni, and Swakula Sale, but over a period of time, the trade found takers across castes and religions, owing to severe drought in the district. 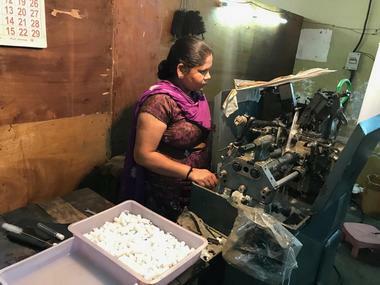 Weavers make up half of the voting population in the town which, in 2014, had recorded an 83.96 percent turnout in the Assembly and 83.96 per cent in the Lok Sabha elections. Given these numbers, it’s no surprise that parties are tripping over each other to get the attention of these artist communities with promises of higher pension schemes and a dedicated bank. But the handloom industry’s back is broken. Decades of being sidelined in favour of powerlooms has made the situation here so desperate that a weaver who used to earn Rs 5,000 twenty years back per month now barely earns Rs 8,000 to Rs 9,000. On an average, a weaver manages to weave four sarees – roughly worth 3,000 each - per month and earns one-third of the saree’s cost while the rest is pocketed by the master weaver, who is technically their employer. Smaller operations have half a dozen people while big master weavers are known to employ more than a hundred weavers. The weavers here say their sons and daughters don’t want to take up the profession, unlike their times, when they were proud to learn the craft and continue the family's traditions. 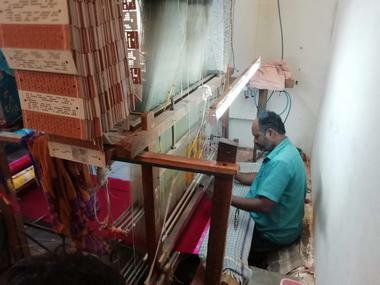 P Ramanjaneyulu, state president of Andhra Pradesh Handloom Workers Union, says the industry’s steady deterioration started with the Centre’s reforms initiated under late prime minister Rajiv Gandhi in 1985. According to him, merging the handloom sector with the power loom and mills sectors sounded the death knell. This, he says, deprived the handloom sector of a dedicated ministry and bureaucratic machinery needed for its welfare. He adds that all these moves have reduced allocations for the handloom sector as more money is given to the powerloom and mill sectors, which have the wherewithal to lobby. The unorganised nature of the handloom sector doesn’t give it any leverage with the powers that be. The changes brought in 1985 reserved 11 items for the handloom sector - sarees, dhotis, pavada (a long skirt worn by young girls), and towels among others. This, activists say, is being violated to the hilt. The mill lobby’s attempts to get all items de-reserved for handloom failed when the Supreme Court, in its ruling in Parvej Akhtar and others Vs Union of India and others in 1993, ruled in support of the 1985 Act, upholding it as “a measure necessary for protecting the livelihood of weavers”. However, in 1996, the central government eased the norms to allow 45 percent of the items reserved for the handloom sector to be made in the powerloom and mill sectors, further revising the figure to 55 percent in 2008, which resulted in the violations. 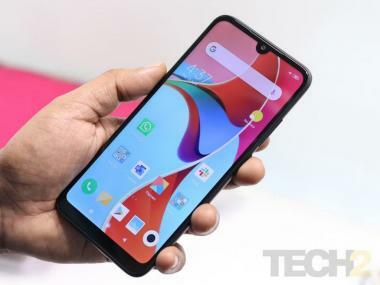 The machinery to implement these norms is based in Chittoor district’s Tirupati, which is 260 kilometres from Dharmavaram. Chittoor district, too, has handloom hubs, namely Madanapalle and Nagari. G Parthasarathy, president of Dharmavaram Handloom Merchants Association, says, “Handlooms provide employment to more people. Powerlooms are cutting into our profits. And while we didn’t have any taxes earlier, we now have to pay GST on raw materials and a 5 percent tax on the finished product. We provide goods on credit and can get back money only six to 12 months ahead. But we have to pay GST on all the goods we sell, as our business is above the Rs 20 lakh threshold, which puts us in the tax bracket." Where have all the schemes gone? Workers and owners of handlooms say that many schemes meant for them have either been stopped or not implemented. A scheme under which 4 kilograms of inputs like zari and silk were being given with a 10 percent subsidy was scrapped four years ago after traders, in connivance with officials, swindled funds. This was after chief minister N Chandrababu Naidu promised to provide raw materials at 50 percent subsidy. The Centre has at least four schemes targeted specifically at the handloom sector, including one to supply yarn and a comprehensive welfare scheme. Andhra Pradesh was allotted 39.75 crore in the past five years, one of the highest, barring Tamil Nadu. This included cluster development programmes at the block level and marketing events and incentives. But there is no hint of these funds having reached the ground. “Many other schemes that were useful to us have been stopped, including a health scheme introduced by the previous government, which was discontinued in 2014,” says K Easwar Ranga, a weaver. 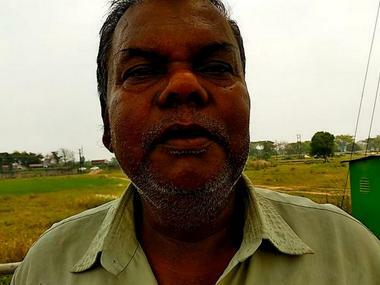 “A scheme to give Rs 4,000 to weavers to help them survive during monsoons has not been implemented for 20 years now,” says A Suryanarayana, adding that he had to mortgage some gold to help his daughter to continue her studies. A scheme of the Central Silk Board, under which an individual weaver could buy a handloom by paying just 25 percent of the amount, also has been discontinued in the last four years. Weavers rue that the sector is increasingly being dominated by those who own more handlooms, as their margin of profit is higher and many of them even double up as merchants to sell it directly in market, cutting down on the middleman cost. Also, most small-time master weavers, who can employ only two-three weavers, live at the workplace itself. A majority of handloom weavers are landless labourers, and 65 percent don’t have their own houses. “In the absence of their own house, the burden of rent adds to their woes. The government had promised apartments to weavers; that wouldn’t have helped at all though, as the unit used for weaving is fixed to the ground in a pit, which is not possible in an apartment. It took several protests for the government to realise that and promise plots,” says Ramanjaneyulu. According to the weavers’ unions, Naidu’s TDP government did increase the pension amount to Rs 1,000 from Rs 600, but of the nearly 3 lakh weaver families in the state, only around 26,000 have got bank loans. The implementation of loan waivers, even after their announcement, took three years under the YS Rajasekhar Reddy government and two-and-a-half years under the Naidu government, says Ramanjaneyulu. The weavers say this makes them defaulters in the banks’ eyes, making it impossible to get loans in the future. That’s why, small handloom owners say, they have been demanding a dedicated bank for the sector for a long time. Chief Minister N Chandrababu Naidu promised to transform Dharmavaram into a smart city, while Pawan Kalyan vowed to take Dharmavaram into the international limelight by promising to work for patent rights for the Dharmavaram saree. YSRCP president YS Jagan Mohan Reddy promised, among many things, pension payment of Rs 3,000 monthly for every eligible weaver right from the age of 45 years. The YSRCP candidate for Dharmavaram, Kethireddy Venkatrami Reddy, during his campaign, has promised a dedicated bank for weavers, alleging that nearly Rs 290 crore meant for weavers’ welfare has gone back to the government unutilised. When contacted, the ruling party candidate and incumbent MLA G Suryanarayana refused to comment. Though the majority of the population in Dharmavaram belongs to the weaver community, it has been practically unrepresented in the Legislative Assembly, barring Kasetti Srinivasulu, who won in 1952 as member of the Praja Party of Prakasam Panthulu (the first chief minister of AP) and Pallem Srinivasulu who won as an Independent.